These Tri-Flex Graphite Inshore rods add power to move the most difficult Stripers, Blackfish, Amberjack and Grouper quickly away from line-parting wrecks. Tri-Flex stands for our proprietary blank designs in which three layers of material, each carefully chosen to provide specific characteristics, are integrated at specific intervals within each blank. More to the point, these rods contain a combination of lightweight power, durability, sensitivity and structural integrity that you�ll go gaga over. The only thing Tri-Flex Graphite Inshore rods don�t offer is limitations. Fish one, and you'll gain a whole new understanding of what a rod can be. I bought this Rod for blackfishing. I have many high end rods, but this is really special. very sensitive but great fighting power. try one & you will be sold . Living in Baja you never know what will grab your offerings. So you must be ready to tangle with some really big and tough fish. My LG has held up to big yellowtail, snapper and dorado. A great rod when you need to lay the hammer down dragging big fish out of the rocks. Bought this rod for togging in NY. Also ended up using it for chunking for Striped Bass. Plenty of back bone for pulling tog out of reefs. Landed a trophy bass and large bluefish without an issue. I really like the cork grips, and it really can throw 1 to 4 ounces. Great action in the tip. It is rate for 8-20 lb test, but I would say 10-20 is more like it. ProsStrong. Light weight. Cork grips. Great casting on a wide range of weights, 1 to 4 oz. ConsIt would have been great to have a hook keeper on this rod. That would have finished it off nicely. I think, it is not only wonderful for tog fishing, but it is awesome to use for black Seabass and cod as well. Bought this rod to match an older lamiglas rod and avet reel that I love. Older one was 6ft. This one is 7ft and significantly thicker at base. Will test it out for Stripers as soon as season opens. ConsExpensive. Preferred the shorter models of the past. It is a light weight 7' rod with lots of back bone and fast action tip.I bought this rod for blackfishing.Is great for pulling big blackfish out of wrecks. IF I lost this rod I would buy it again in a heart beat. 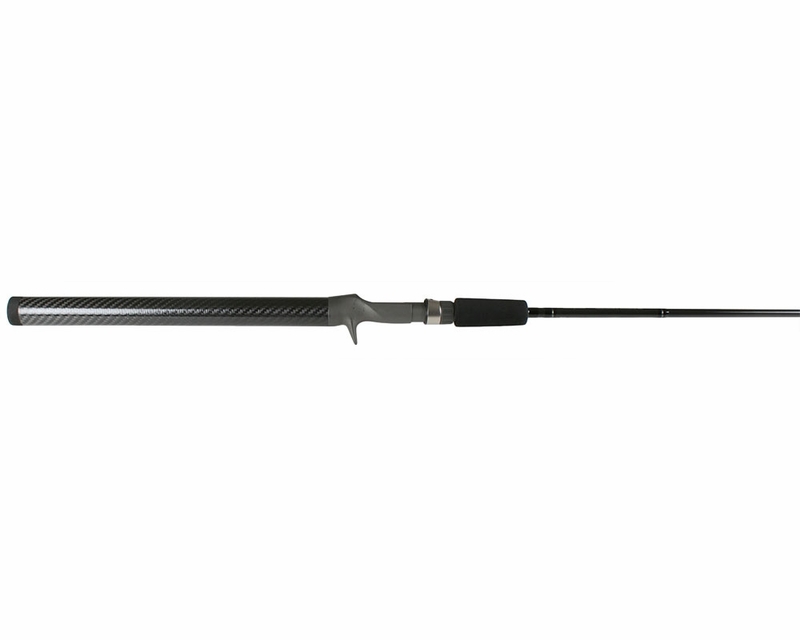 ProsLight rod for a long day of blackfishing.great for pulling up those big white chins that don't want to come up. Conscost but worth every penny if you love to blackfish like I do. Great for Black fishing and strong enough to bring fish on the boat. Prosstrong and light. Cork handle is great for the rod. I have a number of Lamiglas rods and these are excellent rods. I've never had one break, even after tossing it around the boat. Great saltwater rod. Hi will a avet mxl 5.8 reel mount on a lamiglas trx7030c or is a7030ct a better fit. looking to pair this rod with a seigler small game conventional reel. Gonna put 50# braid on and use it for stripers using live bait (mackerel and pogies) sometimes with weights up to 8oz. Would the 7030ct or 7040ct model be better? I like my tackle on the lighter side but is the 7030ct too light for this? The 7030ct would be a bot light for the application your using the rod for. The 7040ct would be a better fit pairing it with the Seigler SM reel fishing for stripers using live bait. Is the 7030 ct good for blackfish fishing is it strong enough ? Absolutely, in fact the TFX7030CT and TFX7040CT have become very popular rods among black-fisherman. Would the 7040 CT be good for bottom/tautog fishing? Yes, in fact the Tri-Flex has become a very popular option for Tog and other bottom fishing applications. 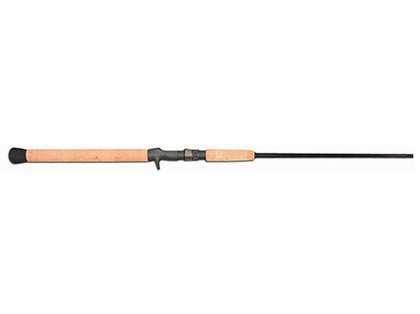 What is the difference between the "C" casting rods and the "CT" casting rods? I see the lure ratings are heavier for the CT--anything else? The C models and CT models have different reel seats. The C model has a finger trigger underneath the reel seat. The foothold threads down towards the front of the reel. The CT model has no trigger on the bottom and the foothold threads up towards the back of the reel. What model would you recommend for live lining and trolling? I'm looking for a conventional set up. The LAM-0106 would be your best bet for your applications. Would these rods be good for live lining or trolling for Stripers? If yes, which casting model would you recommend? 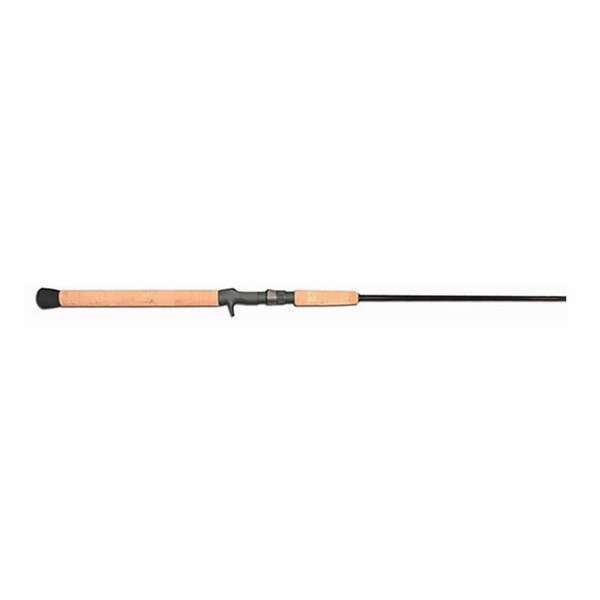 These rods are excellent live lining rods and can be used for trolling as well. We suggest the LAM-0106.